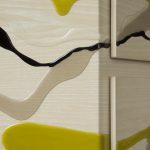 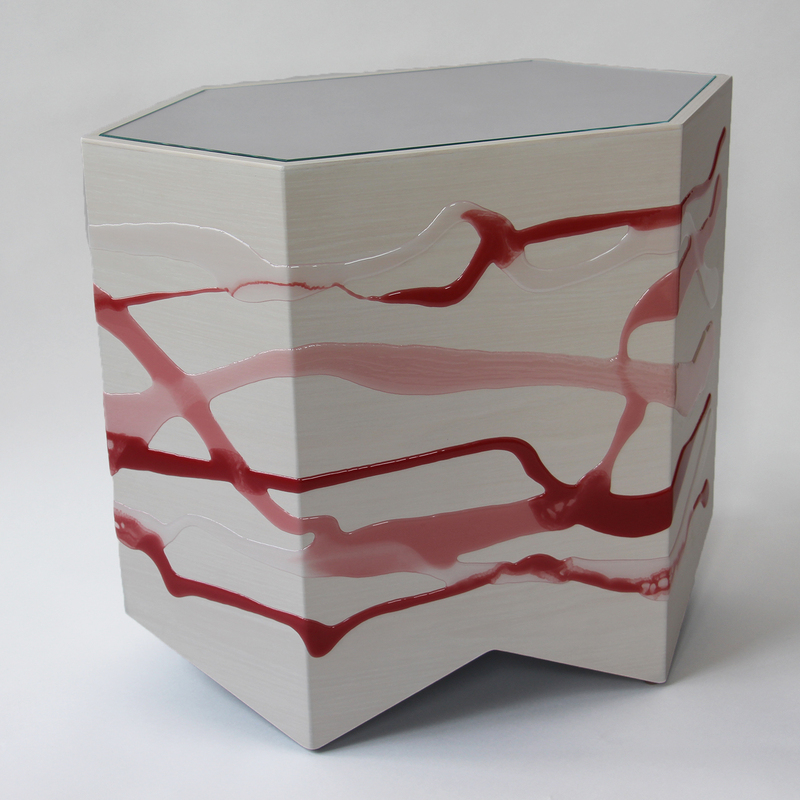 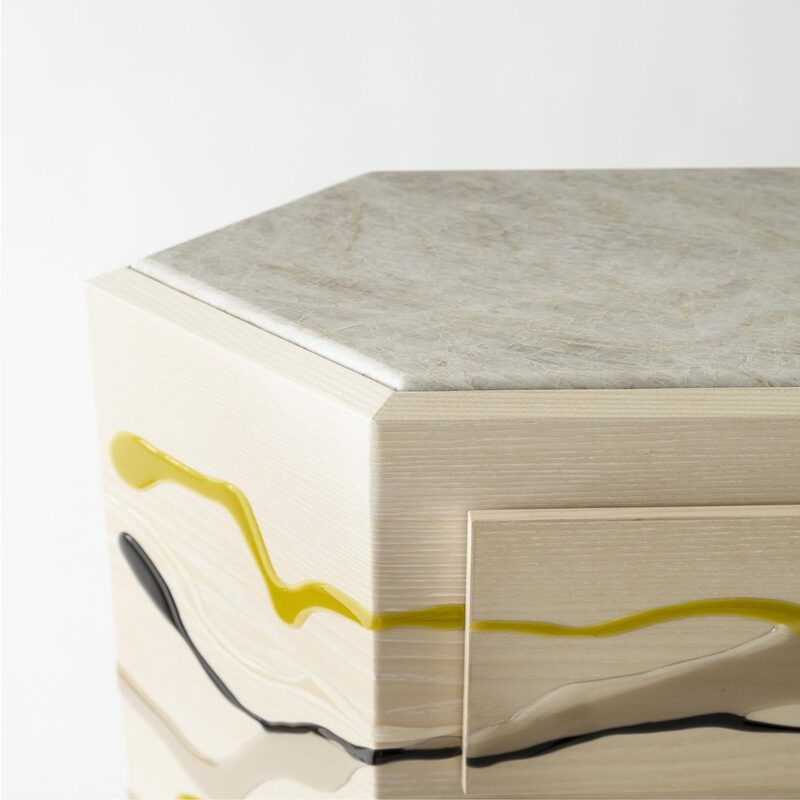 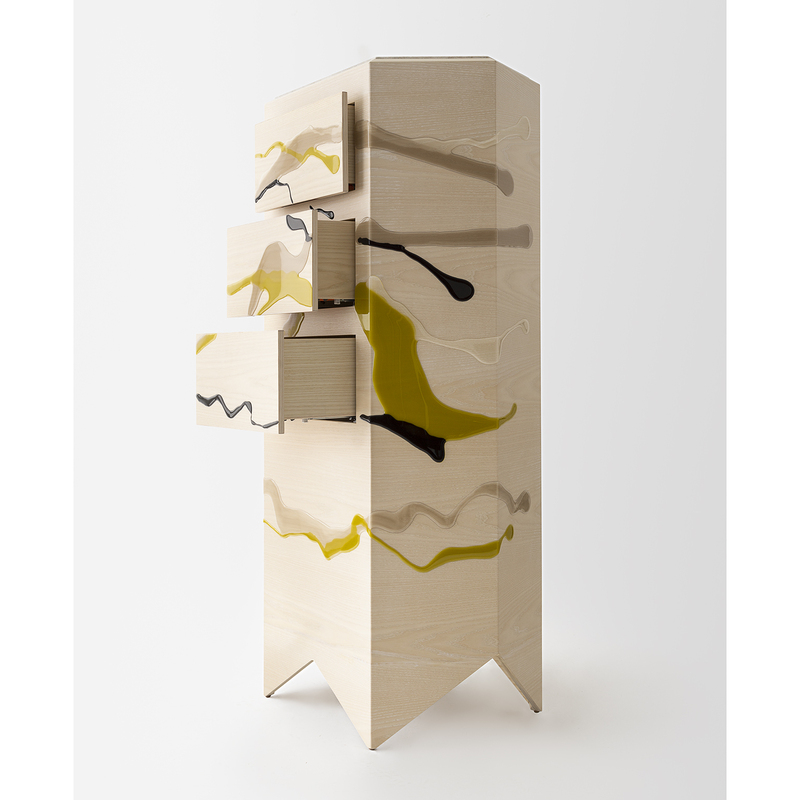 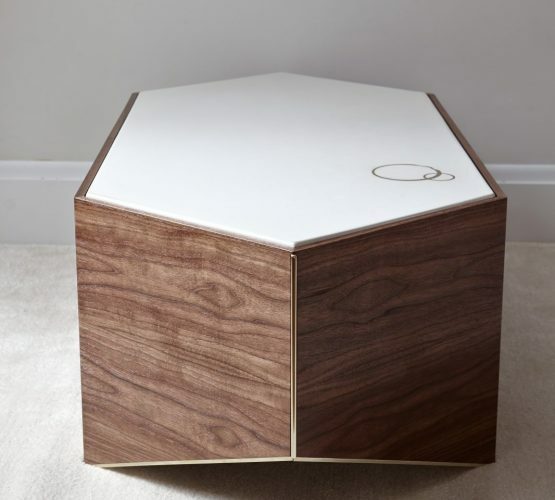 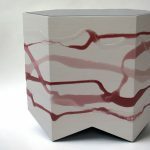 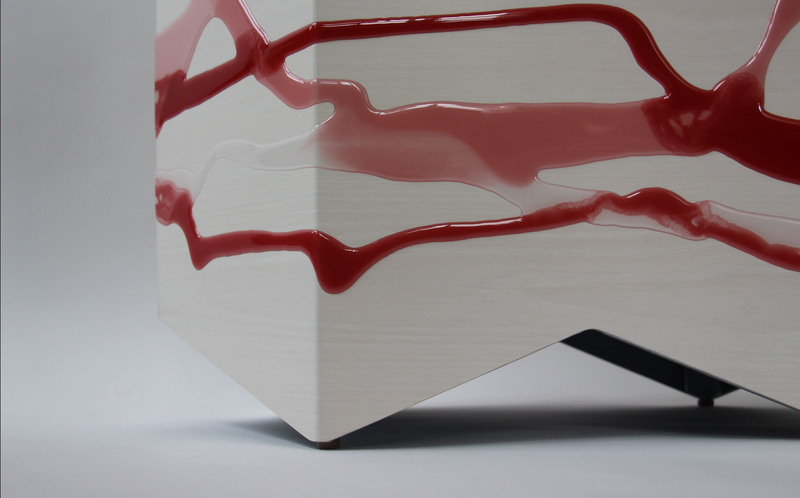 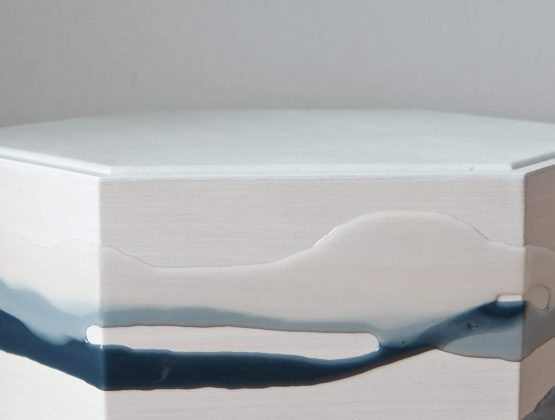 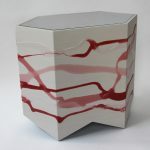 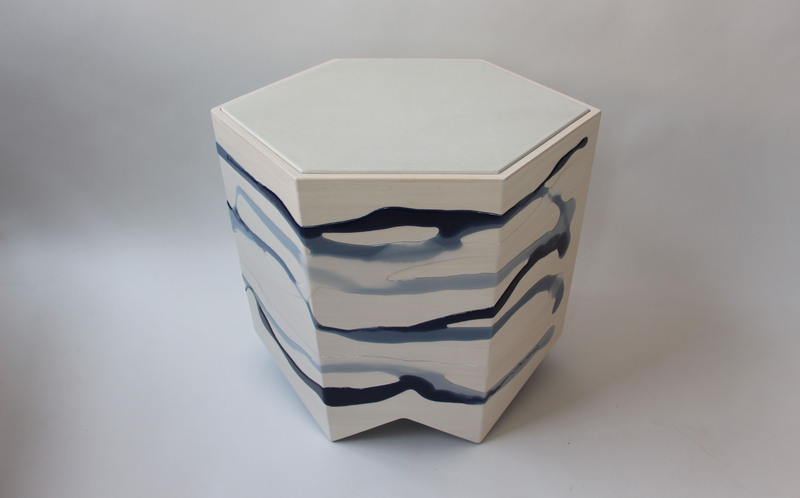 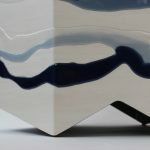 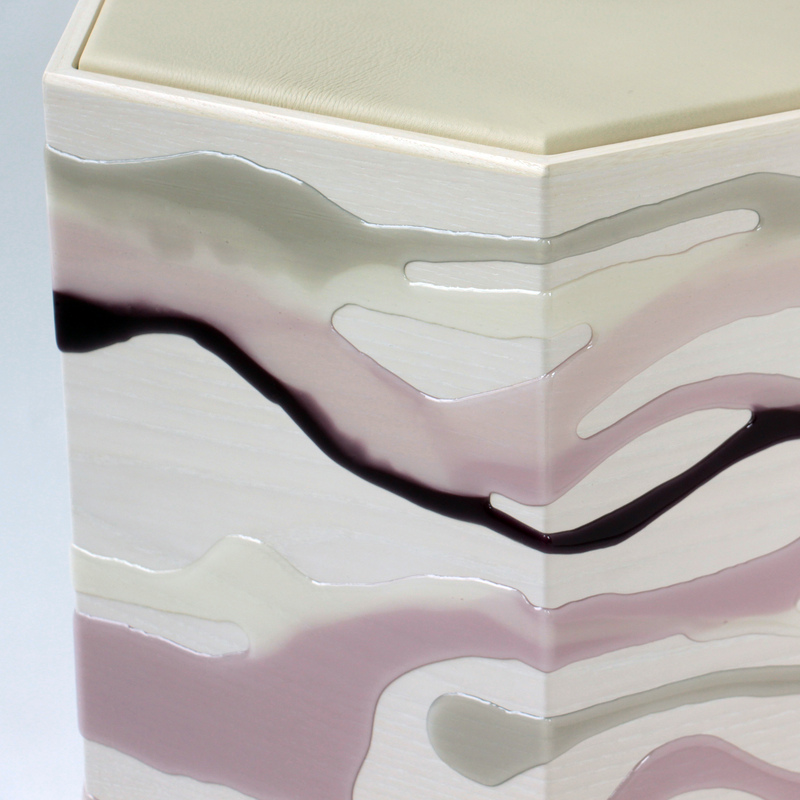 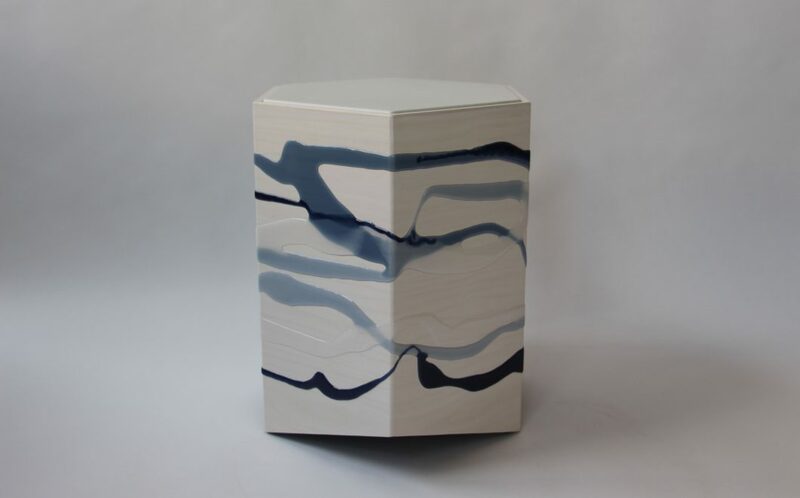 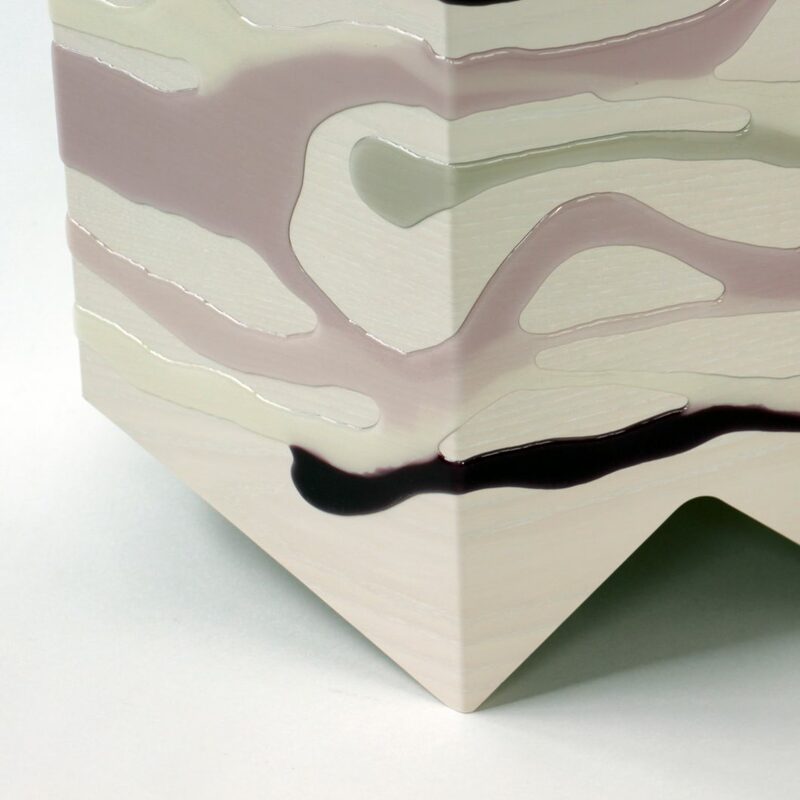 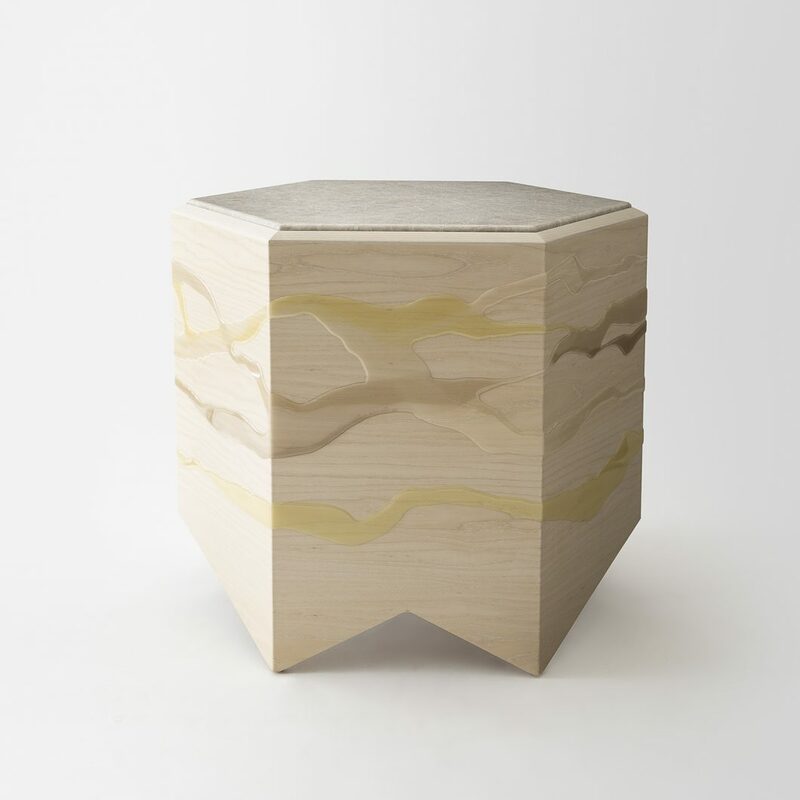 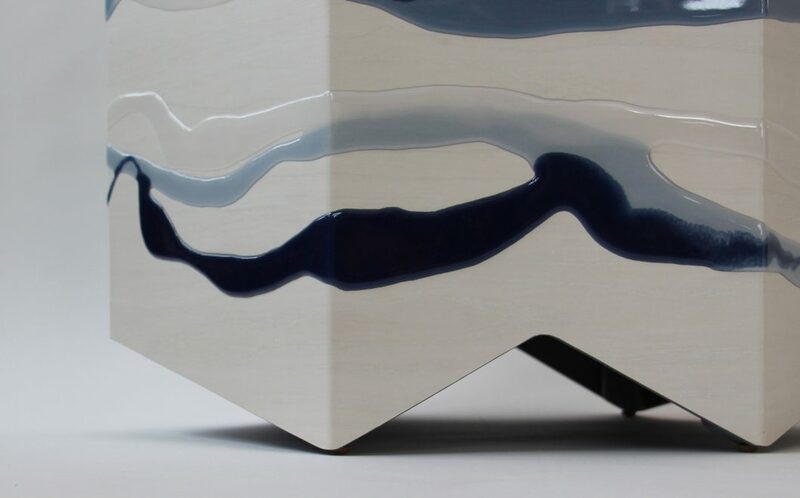 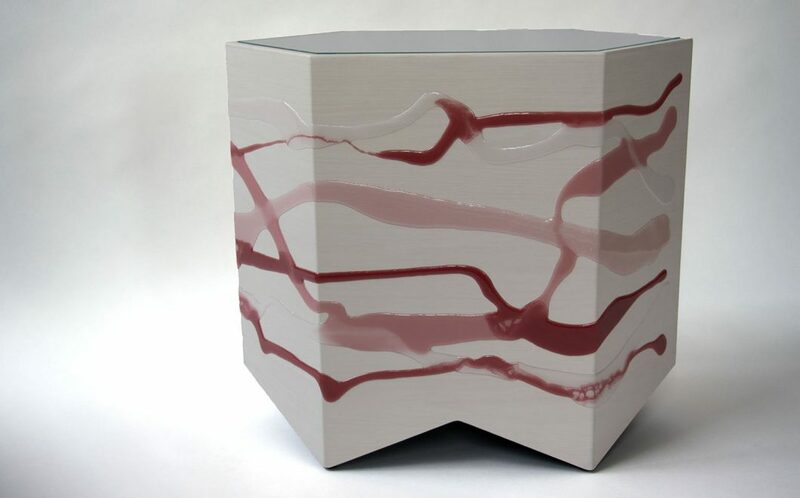 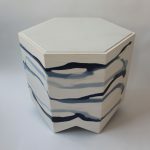 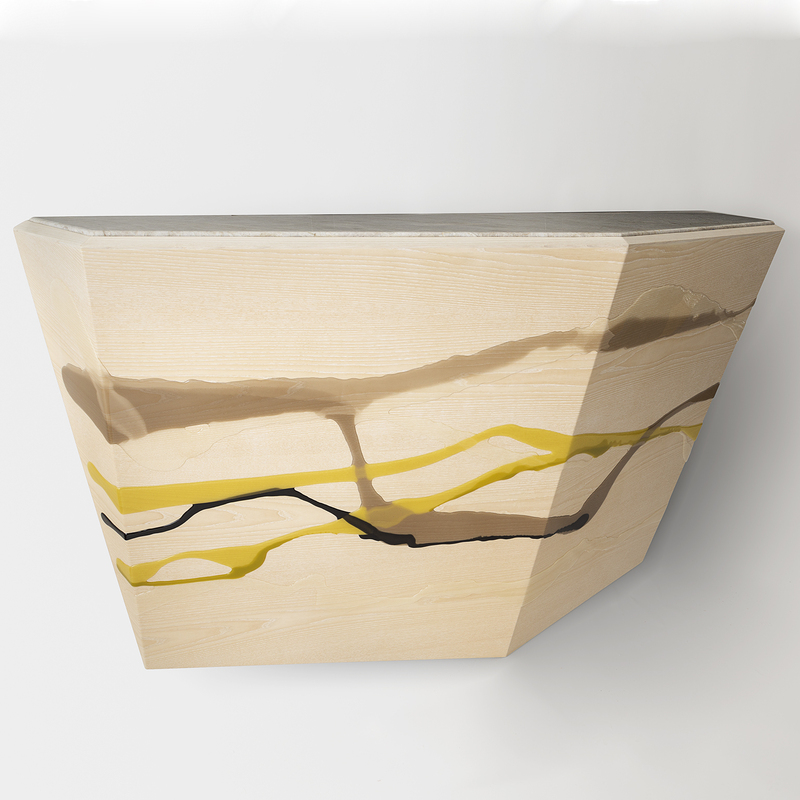 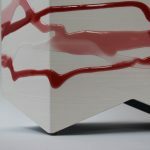 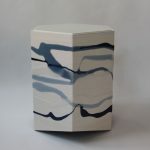 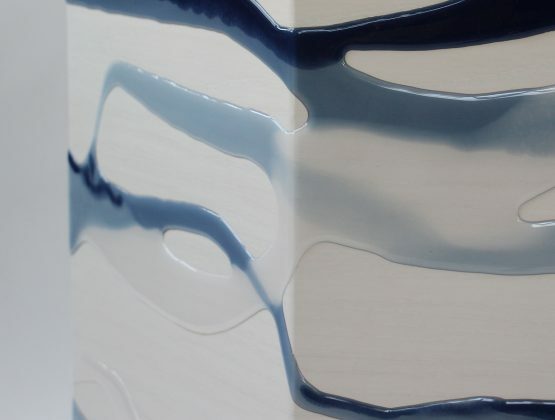 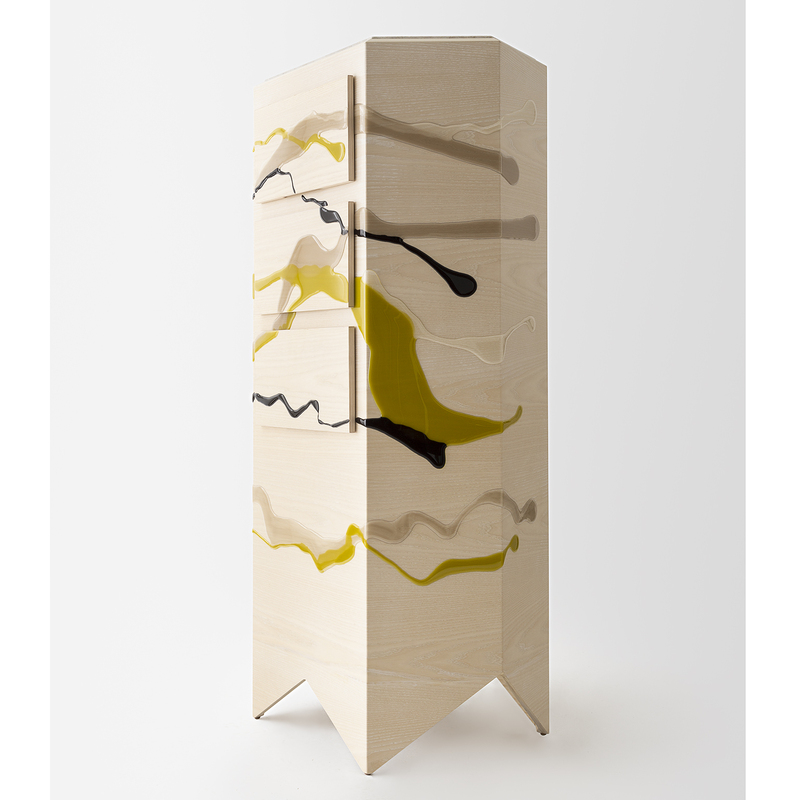 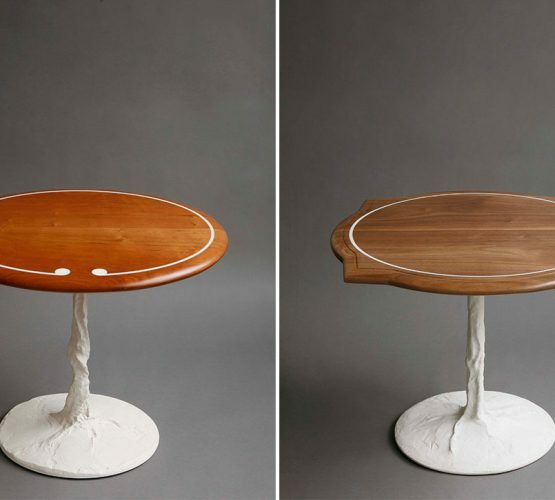 The Drip/Fold side table is constructed of one piece of ash or walnut plywood, hand-dripped with liquid resin, and folded into its prismatic shape. 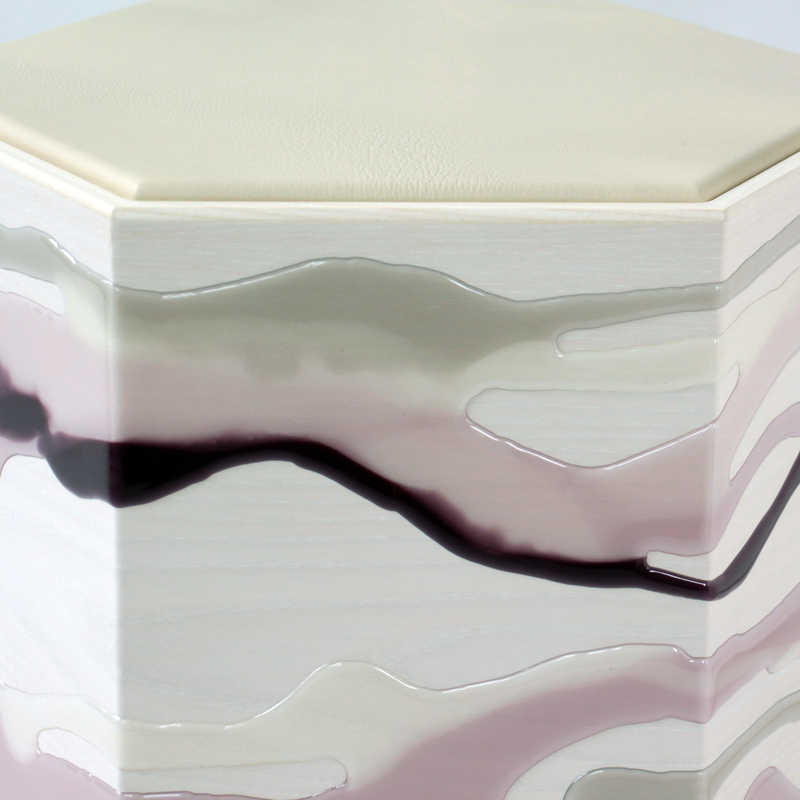 Finished with a leather or stone top. 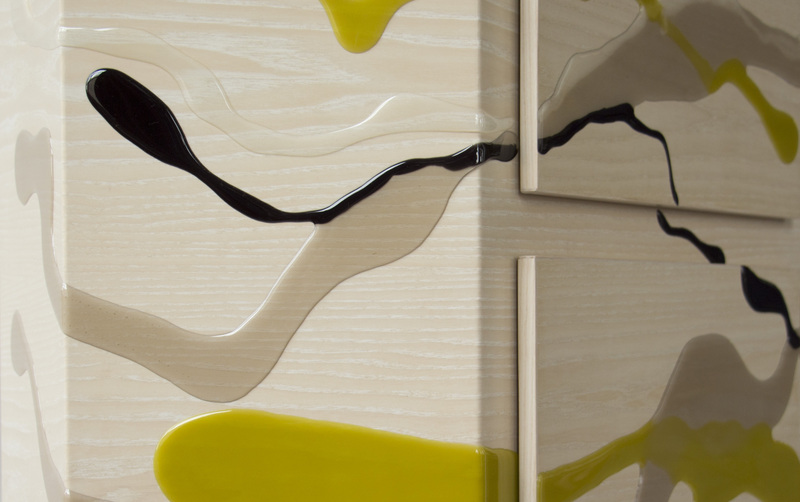 We formulate our resin colors in-house, and can match to any color sample. 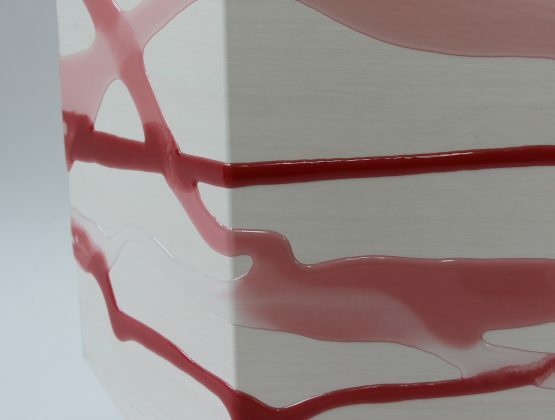 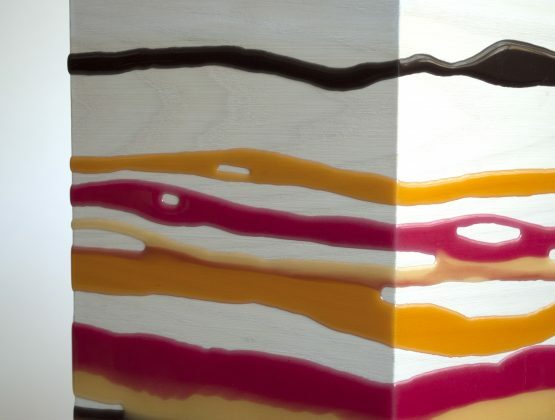 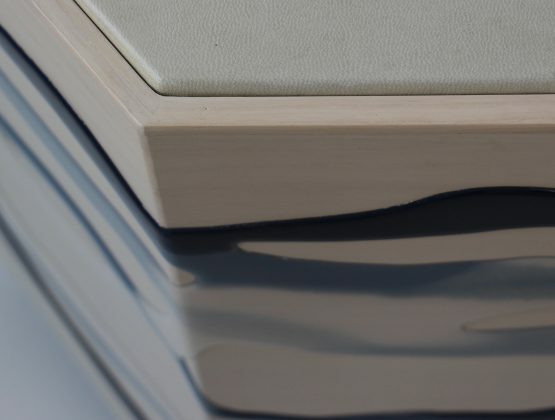 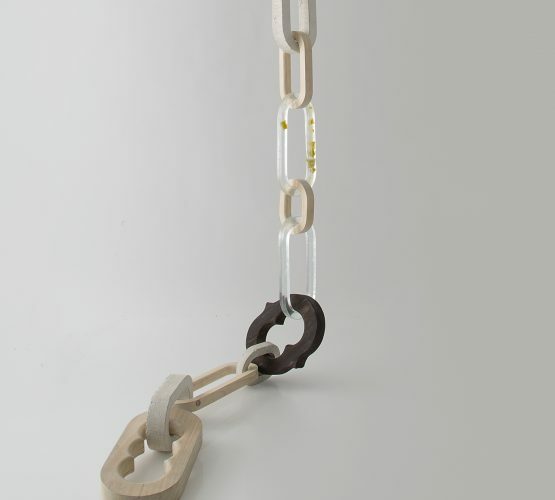 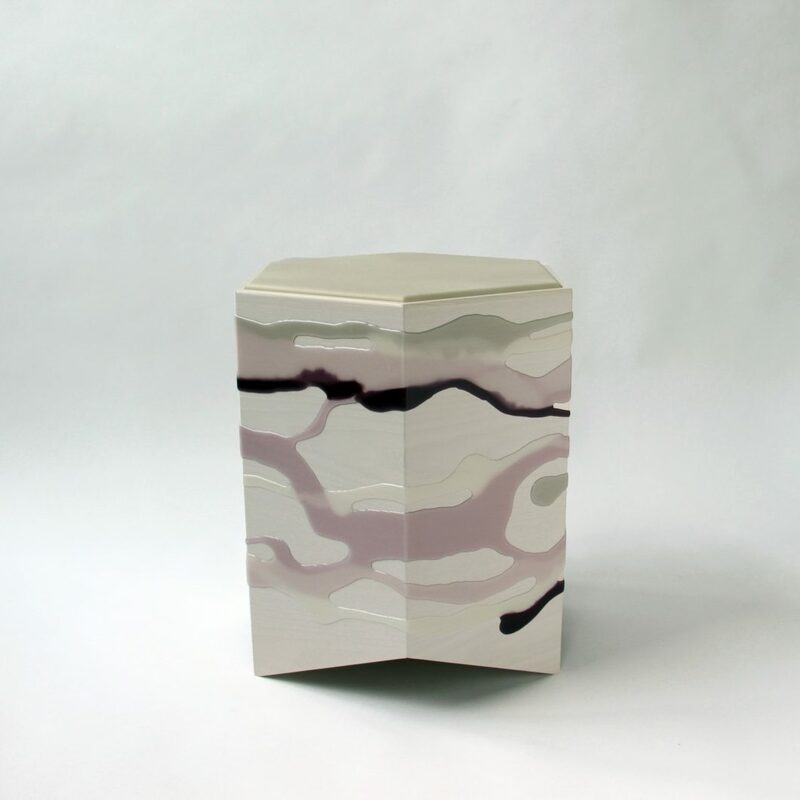 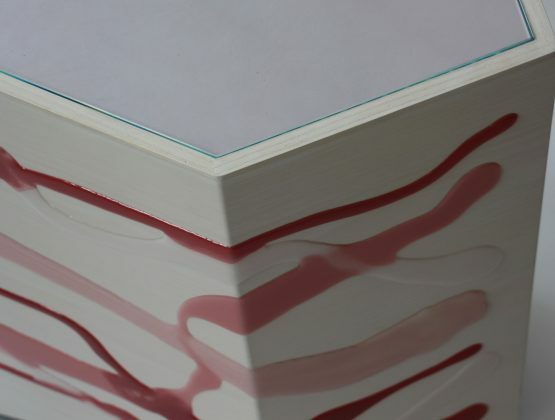 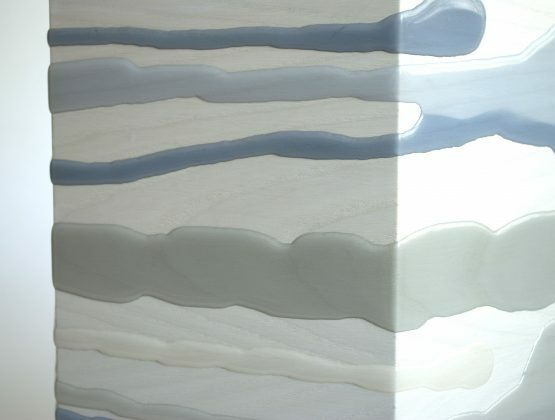 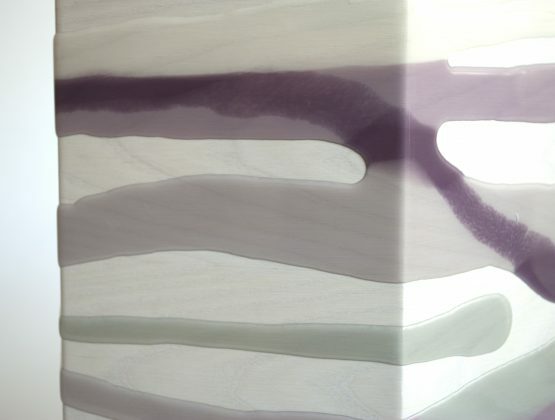 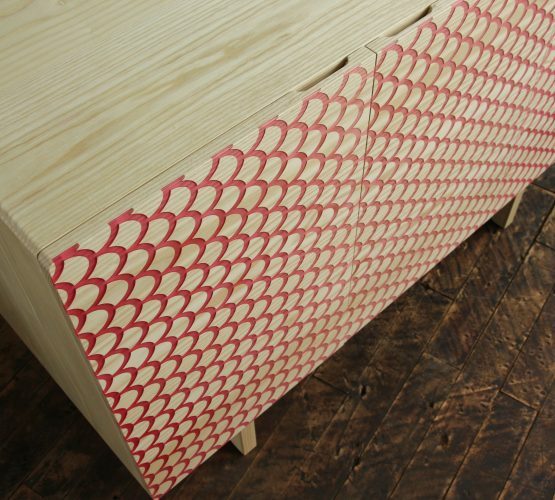 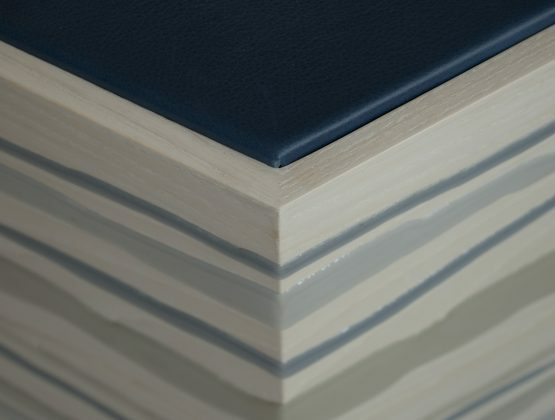 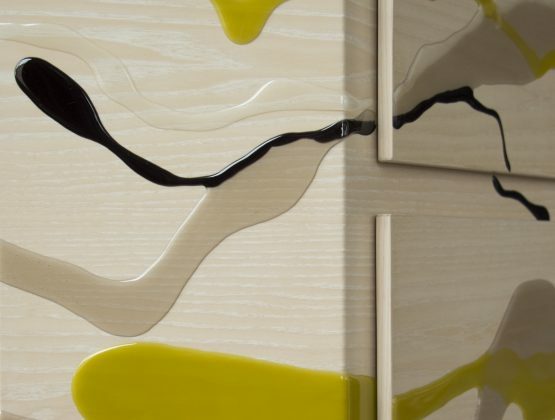 However, due to the nature of the material - its translucency and interaction with the wood - resin colors will naturally appear different from a paint chip or fabric swatch.